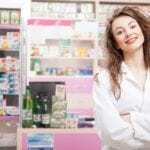 Pharmacy technicians are in demand, and according to the Bureau of Labor Statistics, those demands will continue to increase substantially through the year 2018. The rising need for medications and the expansive pharmaceutical industry mean more jobs for pharmacy technicians nationwide. Today’s technicians do a lot more than ever before, but regulations demand that they work under the supervision of a registered pharmacist in community pharmacies, hospitals, long term care facilities and home infusion pharmacies. Pharmacy technicians mix, count, and label prescriptions in preparation for dispensing. They also stay on top of inventory and manage administration and billing. Most of all, pharmacy technicians ensure the safety and timely delivery of medication, and in collaboration with the pharmacist promote public health and wellness. 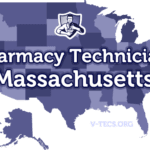 In order to protect the public’s health, the Massachusetts Department of Registration in Pharmacy requires pharmacy technicians to register with the state before working in state-licensed pharmacies. Professional Credentialing Services, Inc processes all applications for registration. The Department of Registration in Pharmacy requires all pharmacy technicians and trainees to register with the Board. Non-certified pharmacy technicians can apply for registration after completing up to 500 hours of employment and respective training at a registered pharmacy. The employer must verify employment and details of the training. Certified pharmacy technicians are those who have completed the PTCE or ExCPT exam for national certification. After completing the necessary training, pharmacy technicians must demonstrate their work-readiness by achieving a passing score on a Board-approved assessment examination. The exam will cover five knowledge domains; practice settings, medical abbreviations and symbols, dosage calculations, identification of drugs, and duties and responsibilities of a pharmacy technician. In lieu of employer-based assessments, pharmacy technicians can take PTCE or ExCPT for national certification. Applicants must be at least 18 years old to register as a pharmacy technician in Massachusetts. Pharmacy technicians looking to register with the Board of Pharmacy must be a high school graduate or have equivalent education. If you don’t have a high school diploma, you must be enrolled in a program that rewards a degree or certificate. Along with your application for registration, you’ll need to submit any of the following as proof of completing high school. Like other states, pharmacy technicians in Massachusetts must have a good moral character. Applicants with drug-related felonies will not qualify for renewal. Admission of prior convictions could delay the processing of your application as PCS reviews your applications, documents and circumstances surrounding your conviction before making a final decision. Applicants for Certified Pharmacy Technician registration must have PTCB or ExCPT certification. Pharmacy technician training provides students with the safety, communication and patient care skills required to obtain entry-level employment in various health care settings. Accredited programs also prepare students for PTCB certification. Most programs cover classroom sessions plus a clinical externship at a retail or hospital pharmacy (or sometimes, both). Key topics include pharmacy abbreviations, pharmacy technician role and responsibilities, drug regulation and control, pharmacy calculations, pharmaceutical terminology, basics of IV solution, Parenterals, and compounding. Students also learn basic administration, such as inventory management, customer service, patient records and pharmacy billing. The externship highlights the major topics covered in the classroom from a practical perspective. For most programs, the externship is a requirement for graduation. Basic requirements for working as student technicians in most pharmacies include up-to-date vaccinations, TB clearance, drug screen, and criminal background check. Massachusetts’ accredited pharmacy technician training programs cost $1,200 on average. Programs are available at colleges, universities, vocational schools, private institutions, and employer-based programs. For free training that leads to Board registration, you should seek out employment/training opportunities at community pharmacies. After completing 500 hours of employment, training, and an assessment, you will meet the requirements for Board registration. You’ll also have the basic knowledge needed to succeed at the national PTCB exam. The average cost of training at paid institutions will cover tuition and textbook only. You must budget for other expenses, such as registration, immunization, background check, drug screen, TB test and PTCB certification. Board-approved programs must supply a minimum of 240 theoretical and practical instruction. Based on those requirements, programs typically last 2 to 8 months based on the schedule. Assessment exams, whether national or local to Massachusetts, evaluate candidates’ competency related to their role as pharmacy technicians. The Department of Registration in Pharmacy requires Certified Pharmacy Technicians to take the PTCE or ExCPT exam prior to registration. The DRP accepts both national certifying exams; the Pharmacy Technician Certification Exam (PTCE) administered by the PTCB and the ExCPT exam developed by the National Health Career Association (NHA). The Institute for the Certification of Pharmacy Technicians administers and scores the ExCPT exam. Applicants for the computer-based exam must be 18 years old and possess a high school diploma or GED equivalent. The two-hour exam contains 110 multiple-choice questions, which covers three key areas; pharmacy regulations and technician duties, dispensing medication and brand name and generic drugs. 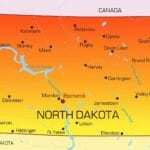 Applicants must pay $105 to take the national exam. The widely accepted PTCB is the older and more recognized national certification exam. The PTCB has contracted with Pearson Vue to administer the computer-based exam at various testing centers across the nation, including several testing centers in Massachusets. Applicants must present proof of completing high school or GED. In order improve the integrity of their certification and commit to public safety, the PTCB also requires candidates to pass a criminal background check. The two-hour exam comprises of 90 questions – 80 of which counts towards the final score. Applicants must apply for the exam online and submit the $129 fee with the completed application. The Massachusetts Board of Registration in Pharmacy has given the Professional Credential Services (PCS) the responsibility to process pharmacy technicians’ applications for registration. Applicants can register as non-certified pharmacy technicians or certified technicians. Provide a copy of your high school or GED transcript. Submit proof of completing a Board-approved or employer-based pharmacy technician assessment examination. Include the application fee of $150 with your completed application (check, money order or credit card accepted). Your employer must fill out the Employer Verification of Experience and Examination (included in the application packet). Sign the application in the presence of a notary public and attach a 2×2 photo. Provide proof of age and legal U.S. residency. You must respond to the questions on criminal convictions and be of good moral character. Pay the application fee of $150 using a check, money order or credit card. The registration expires on the technician’s birth date every two years. You must renew your registration on time to continue practicing –failure to renew by the expiration date will result in penalties if you continue to work. If your renewal lapses, you can renew your registration after submitting an application, the renewal fee, and late fee. You may have to fulfill the requirements of a new registration if your license remains in lapsed status for more than two years. The renewal fee is $60. You must notify the Board of changes in your residence, place of employment or name changes within 10 working days of finalizing the change. Provide proof of good standing with another State Board. 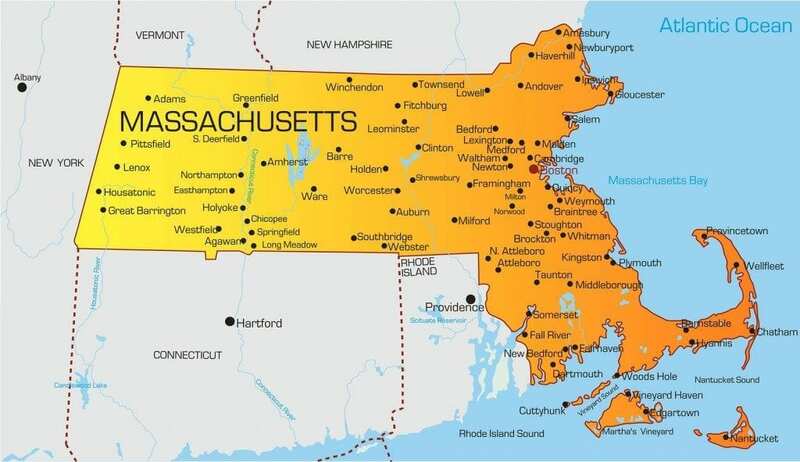 Compare the registration requirements in your old state with that of Massachusetts. The requirements should be equivalent to qualify for transfer.